The tenor saxophonist and Kendrick Lamar collaborator—who’s <a href="http://www.laphil.com/tickets/kamasi-washington-langston-hughes-project-ask-your-mama-12-moods-for-jazz-feat-ron-mccurdy-0">playing Disney Hall</a> on November 6—talks LACMA, absinthe, and where to get a good steak at 3 a.m.
There’s a whole group of clubs, clothing shops, and art galleries—it’s the cultural hub of L.A. It was a bit more active in the ’90s than it is now, but it’s having a resurgence, so now’s a good time to go. I like to go to The Eso Won Bookstore, which is a really cool independent Afrocentric shop. It’s a good place to get issue books, cooking books—everything you can think of. I also go to The World Stage, which is the club I grew up in. Billy Higgins (above) started it. I’ll sit in for jam sessions, hang out. It’s a vegan restaurant in Inglewood. I’m not a vegan, but I eat vegan quite often because it’s one of the best places. The tacos and the enchilada plate are both really good. It was originally a power plant for Downtown L.A. that they converted into a club. They still have a lot of the components from when it was a power plant, so it’s super dope. I used to play there with Miles Mosley, who plays bass in my band. They had burlesque dancers who used to dance while we played. And they have an absinthe drink, if you’re in the mood to have an interesting night. There are so many cool museums in this little strip; it’s hard for me to pick. I love going to LACMA, I love going to CAFAM, and I love going to the La Brea Tar Pits. I saw the exhibit at LACMA on German Expressionism, and they’re always doing cool stuff at CAFAM. The artists are very involved in CAFAM’s exhibitions, so you can often see them creating pieces. It’s really great. And they have a cool gift shop. I buy a lot of jewelry and stuff there. Right around the corner from the Blue Whale is Mako Sushi. That’s the thing to do: Go to the Blue Whale, but stop at Mako Sushi first. It’s probably my favorite sushi place in L.A. I like the unagi, the spicy tuna, the fatty tuna, and the octopus. Plus, they have these fried oysters that are amazing. If you’re looking for a nature experience in L.A., this is the closest thing we have to it. Walk amongst the trees and you might even see an animal. I go there a lot to take hikes or if I want to feel like I don’t live in a big city—just to escape a bit. I get a lot of my clothes made here. What I do is draw pictures and find fabric. Most places you go, they want you to go make a pattern. But here they’ll just do it. I’m having them make something for me now, actually. I have a show coming up at Disney Hall and I had this wild idea. It’s kind of hard to describe, but they’re trying to make it. It’s going to be black and blue, out of this Kente cloth. It’s my favorite steakhouse in L.A., and the cool thing about it is it’s open 24 hours a day. You shouldn’t be eating a big steak at 3 o’clock in the morning—but you can. For musicians, it’s great. You can get other things, and they make great sides, but if you’re going there, you should get the steak. 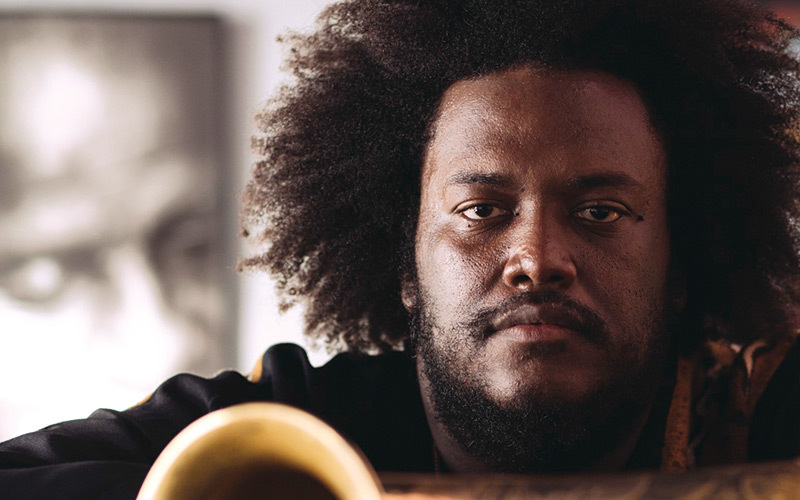 Kamasi Washington plays Disney Hall on Sunday, November 6. Tickets are available here. Previous articleIs Your Ballot Selfie Legal?